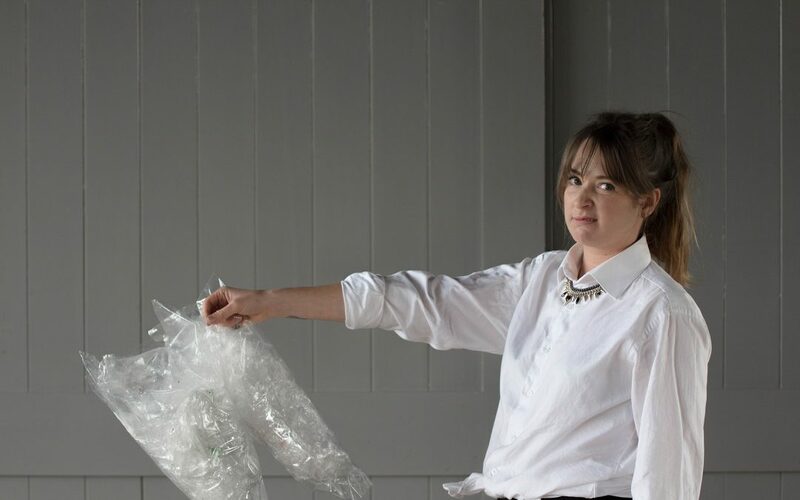 Claire Furner, Author at Bags Not - Say 'Bags Not' to single-use plastic bags. Deck the halls with sustainably grown holly. It’s that time of year when we clean out our chimnies, hang up the stockings and leave out the biscuits and milk. It’s a time for getting together with families and friends, eating great food, enjoying a drink or two, and giving presents. There’s no doubt giving and receiving gifts creates a lot of joy. But it also creates a lot of trash. And considering the plastic piling up at refuse stations as well as plastic continuing to litter our streets, beaches and waterways, we think it’s worth asking “can you have a Christmas free of single-use plastic? You won’t be surprised to hear we think you can (or at the very least drastically reduce your use). So below are some tips and tricks to make sure your Christmas joy is maximised and your plastic waste is minimised. Buy experiences rather than stuff. Think about getting your loved ones a ticket to a concert, a festival, or a sports event. Buy them a voucher for a massage or haircut, or perhaps they could do with some cooking or dancing lessons? If you love them that much, you could even go with them! Pool your money with others to purchase one better quality present, rather than multiple lower quality ones. Wrap your gifts in something other than wrapping paper – like tea towels, nice fabrics, reusable gift bags or boxes. Wrapping paper is pretty crazy when you think about it. All those resources to make and transport it – only to get ripped up and thrown in the bin. Without wrapping paper, you won’t need sellotape either! Donate to a charity on their behalf. We appreciate this is still a hard one for lots of people to fathom, but think about giving to someone who’s more in need this Christmas. Offer people your services. 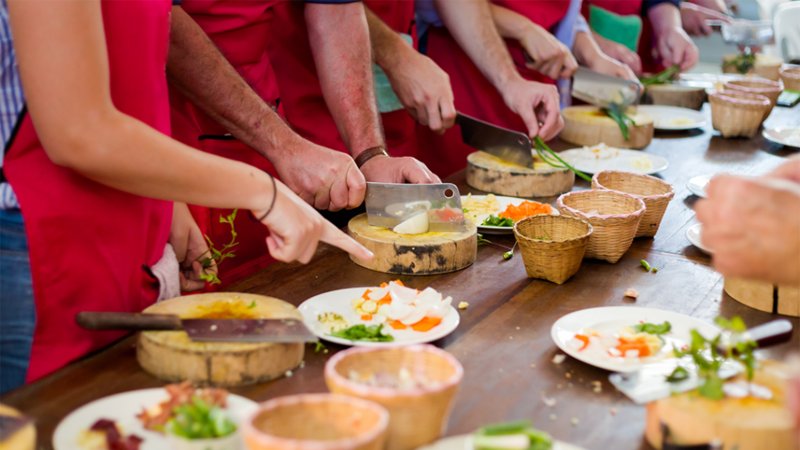 Do some jobs around the house or in the garden, or perhaps cook a meal so your loved ones can go and do something they really enjoy, or just kick their feet up. Do they love listening to music, or watching documentaries or TV shows? Sign them up for (and pay for) their subscription to streaming services. Offer to pay their bills. We admit this one sounds pretty dull, but a lot of people would appreciate their bills being paid for them! Give a reusable gift. Ask yourself if your gift can be reused hundreds of times? And where will it end up? Purchase second-hand items, like clothing. 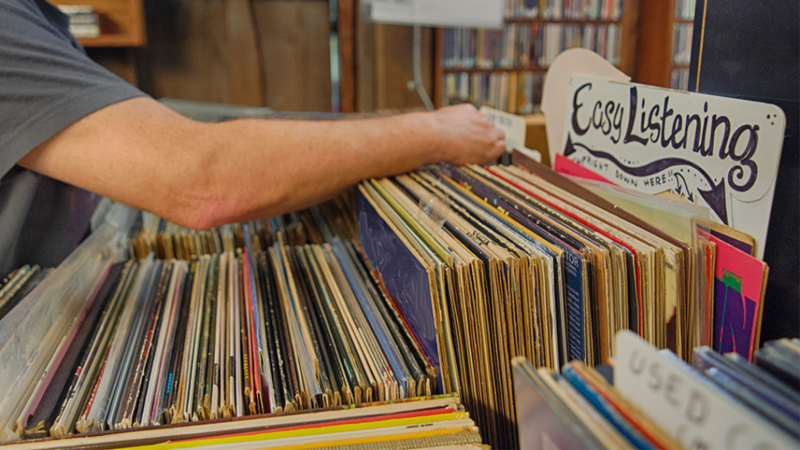 Just check out your local second-hand clothing stores for some great gifts. According to a recent report by the Ellen MacArthur Foundation “A new textiles economy: Redesigning fashion’s future”, every second, the equivalent of one garbage truck of textiles is landfilled or burned. An estimated USD 500 billion value is lost every year due to clothing that’s barely worn and rarely recycled. Choose products that are made from recycled materials. Only 9 – 15% of plastics are recycled globally. A large reason for that is there is not enough demand for the recycled plastic. Hopefully, there are some real gems in there. And hopefully, they help you to have a merrier Christmas. We’d like to thank you all for your incredible support in helping us build awareness and momentum around solving the plastic pollution crisis AND let’s not forget the Government bag ban announcement! We’ll leave you with one last thought. Do you remember what gifts you got for Christmas two years ago? What about last Christmas? And where are they now? Waveney Warth is a waste-free ambassador and a waste consultant at EnVision. 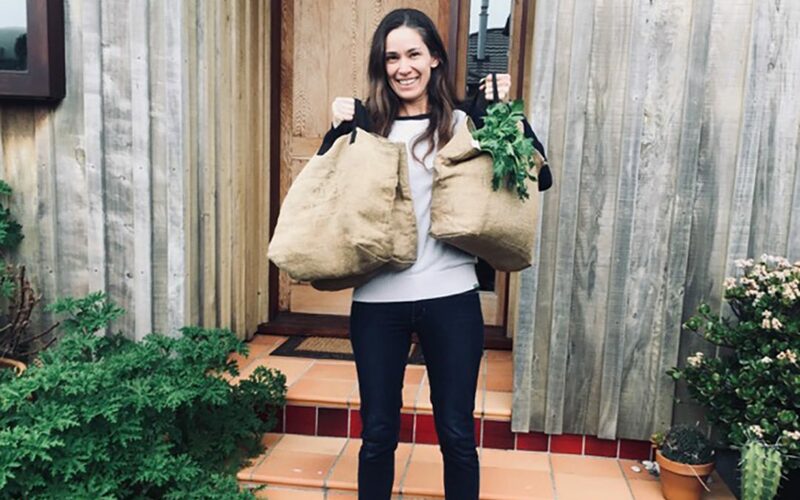 She’s passionate about inspiring behaviour change (particularly when it comes to environmental issues) through engaging communications, education and experience. In 2008, she attempted to live a year of waste-free with her partner. They went on to set up Rubbish Free from the insights they picked up throughout that year. She also starred in the NZ documentary “Living The Change“. We sat down with Waveney to learn about her story in becoming one of the best spokespeople of ‘Bags Not’ in the country. What was the a-ha moment that began your waste-free lifestyle? Single-use plastic. It just suddenly seemed clear one day when I unwrapped an ice block, enjoyed it for five minutes, then threw away the wrapper knowing it will be around for years to come. Sometime later I heard that scientists now believe plastic won’t ever completely biodegrade but break into microscopic plastic particles that stay around forever. When I finally let my brain acknowledge its longevity, any single-use plastic seemed hard to justify. Then in 2008, my partner and I challenged ourselves to live rubbish free for a year. We got some reusable bags just before the challenge started, and they’ve been soldiering on ever since. I actually have a small love affair with them, and I’ll be so sad when they finally give out. What’s your top tip for remembering your bags? I’d been trying for years. Like Homer Simpson stuck in some stupid looping scenario. Then, when our challenge started, I made a pledge to myself that I’d never use a plastic bag again, under any circumstances, and that was that. I turned up to the supermarket three days later, got all my things on the checkout only to realise I forgot my bags. I had to leave, bright red and in a hot sweat. You only need to do that to once. What are your top tips for easily reducing plastic waste? We’re all busy, and I would still be putting out a bag of rubbish a week if I hadn’t been intentional about it. So try and find local markets, butchers and bulk bin stores where you can ask for paper wraps, or take along your own containers. You can even BYO paper or containers at your supermarket too. And be sure to compost or recycle the paper, it goes really climate-change-nasty in a landfill. What have been the biggest changes to your lifestyle since going waste free? We’ve accidentally scared a lot of guests off because they’re too frightened to turn up with their plastic packet of biscuits. As a result, we now bake our own biscuits and typically end up watching Netflix by ourselves on Friday nights. Or wait, is that just because we’re 40? What have been the most challenging plastic products for you to avoid? Cheese! Chips! To be honest, I don’t avoid them. It would be like purgatory, so even though I understand that it’s a deal with the devil… 10 minutes of personal gratification for a thousand year problem – I do it anyway. What needs to happen to help make reducing plastic usage easier? The government needs to continue to lead. It’s great that they’ve banned the bag, and now they need to raise the waste levy to landfill and introduce container deposit legislation. There’s a petition going right now, so sign up to it at www.kiwibottledrive.nz. Plus, it would great to see more mandatory product stewardship schemes. Anything else you’d like to add or share? Anyone who has read this far is awesome. Thank you. If I could give you a chocolate fish I would. Not the ones individually wrapped though. Don’t worry about where you are at with plastic. I don’t care if you have 10 babies in plastic nappies, sucking from plastic straws, eating individually wrapped lollies, we’re all doing our best, and it’s about the direction we are heading in. All of us thinking about this stuff and making small changes is very powerful. It’s already having a massive impact, and it’s only gaining in momentum. Florists Against Plastic: making the floral industry beautiful. Again. During a recent holiday to Bali, Auckland-based florist Rosie Holt collected memories she’ll never forget. But not all of them for the better. She was incredibly incensed by the rubbish that crowded the streets and smothered the beach. This lead to her thinking about the floral industry back home and the huge waste she’d seen over the years. 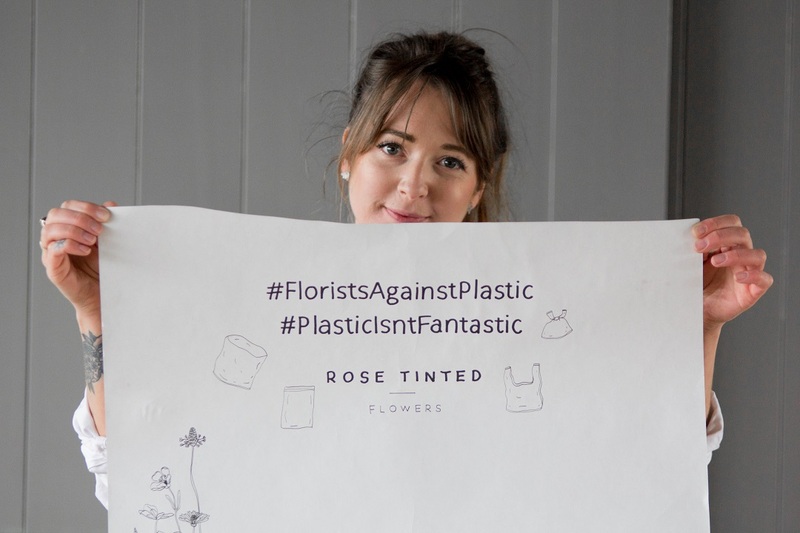 From this Rosie was inspired to create the Florists Against Plastics movement. 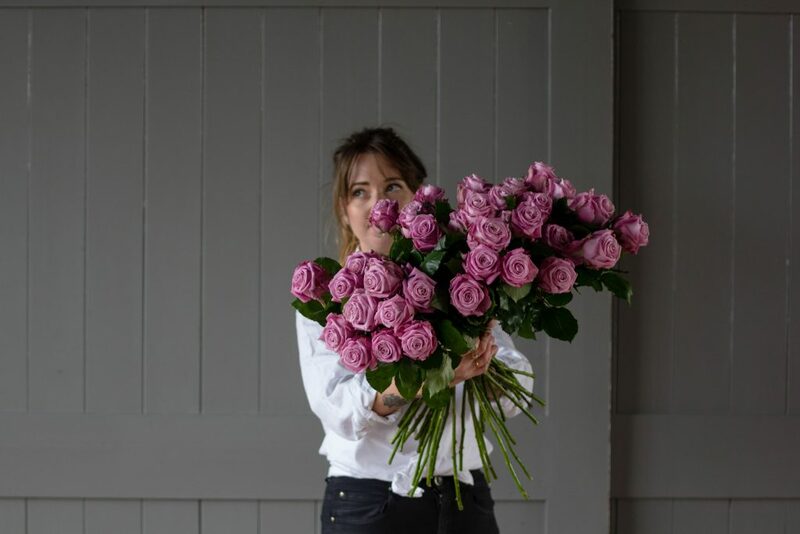 We sat down with Rosie, the founder of Rose Tinted Flowers, to hear more about her business and her plans for cleaning up the floral industry. What’s the story behind Rose Tinted Flowers? “Rose Tinted Flowers sprung to life in April 2015. It started in my garden shed, which I soon outgrew. I graduated to a pop-up shop, which took me to many parts of the city. Our team has grown considerably too. We now create beautiful bouquets for our lovely customers in our two shops – Ponsonby Central and St Kevin’s Arcade. We aim to be as environmentally friendly as possible. We achieve this by using locally grown flowers. We’ve moved to biodegradable bags for wrapping stems and recyclable paper to wrap our arrangements. We also offer our customers the option of purchasing a vase instead. And then there’s e-bike delivery. What’s the current state of the floral industry? “It’s beautiful on the surface, but when you step back you see the environmental impact is atrocious. 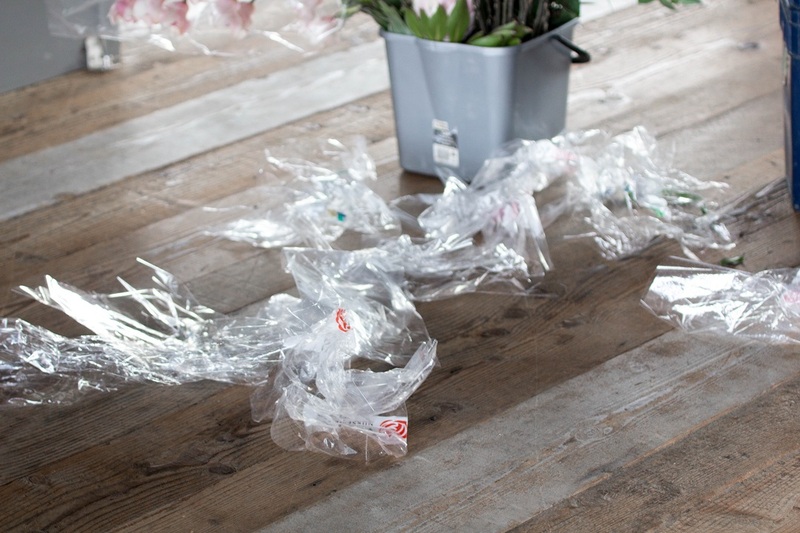 About 75% of blooms purchased come wrapped in plastic from flower markets. And that’s just the start. Most florists then wrap their arrangements with single-use plastic and keep them fresh with plastic stem protector tubes. There’s no guessing where all this plastic ends up. What are the biggest changes Florists Against Plastic are supporting? “As with any cause or movement, someone needs to step up and simply be the first to do something. When that happens people will normally jump onboard because the hard work has been done. Well, we’ve done something, starting Florists Against Plastic and putting into place the changes in our business. Our customers are loving it too. Switch to biodegradable bags for wrapping stems. 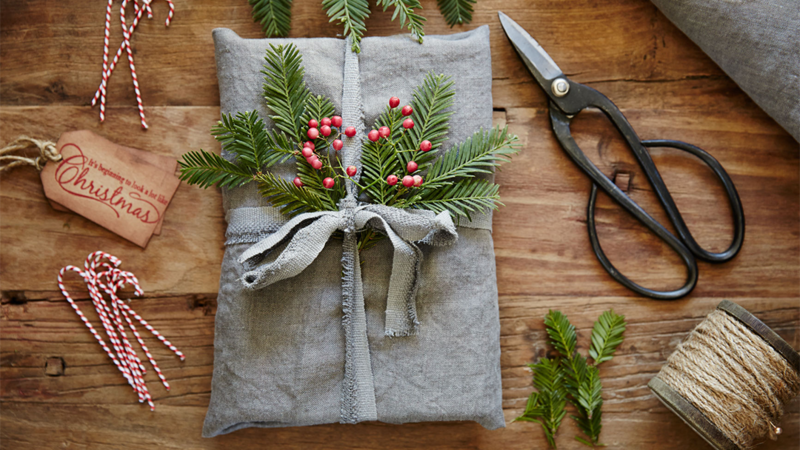 Use recycled or upcycled materials for wrapping arrangements. Consider sustainable means of delivery, i.e. bike, eBike. Stop using floral foam (it’s pretty much cyanide for the environment). Encourage customers to use vases to keep flowers fresh once delivered. How can your florist business get involved? “Encouragingly, some florists already are on board. Take Shea from On My Hand and Felicity from Green is the Thing. Both have been actively reducing the amount of plastic used in their business for some. Shea has also been avoiding floral foam for ages and Felicity grows all her flowers in her Grey Lynn garden. 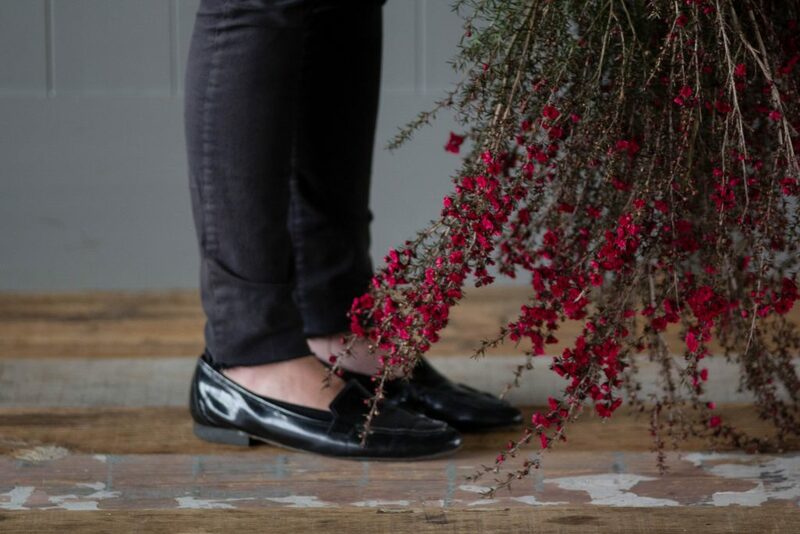 Aside from helping change practices in your floral business, we’d also love for you to check out our website here, and spread the word through social #FloristsAgainstPlastic. Rosie Holt is the founder of Rose Tinted Flowers.